Tickets for the festival cost $880 for the full five days, but single-day tickets can also be thumbed here. 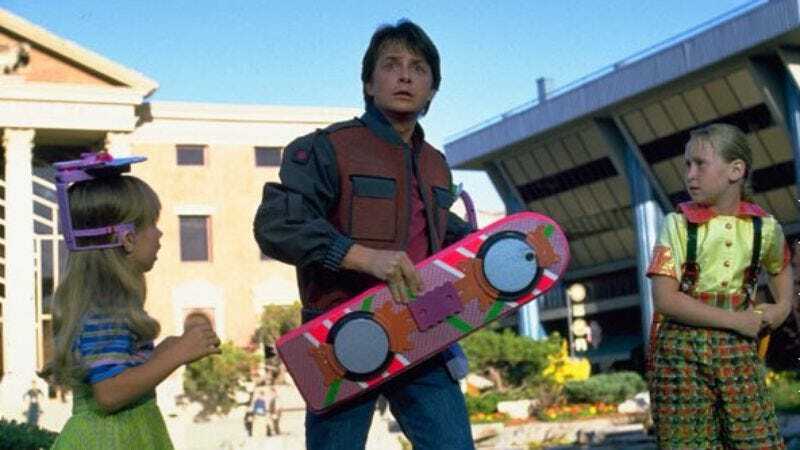 There will also be a Back To The Future prop and memorabilia auction with proceeds benefiting Team Fox, The Michael J. Fox Foundation For Parkinsons Research. In addition to the aforementioned events, the We’re Going Back celebration will also include an “Enchantment Under The Sea” dance featuring performances by Flux Capacitors featuring Marvin Berry (so long as they’re not too darn loud). Attendees will be treated to the world premiere of the Back To The Future documentary Back In Time, as well as the director’s cut of the documentary OUTATIME: Saving The Delorean. OUTATIME tells the story about how festival organizer Joe Walser headed a massive restoration of the hero “A” DeLorean Time Machine for Universal Studios with the help of writer/producer Bob Gale. The fan event will end with a screening of the original Back To The Future at the Puente Hills Mall, which stood in for the Lone Pine/Twin Pines mall in the film. The Back To The Future faithful can find even more details on the event at /Film. In related news, the Chicago Cubs are on the cover of Sports Illustrated.